An Air Ambulance landed just off Weighbridge Road on Deeside Industrial Estate this afternoon. 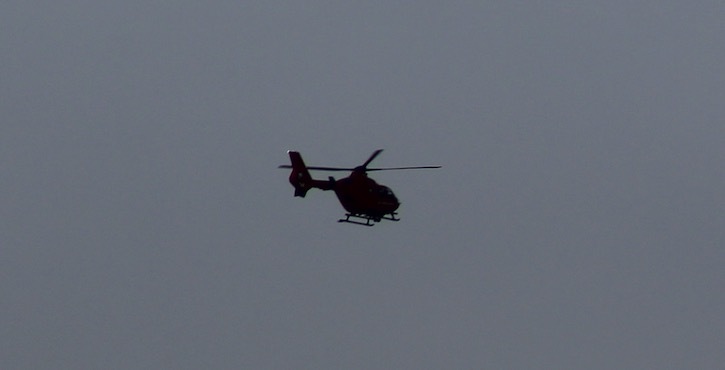 The distinctive red helicopter was spotted landing close to the industrial estate at 3.30pm. It took off from the landing site at 4.25pm and returned to the Welshpool base. A spokesman for the Welsh Ambulance Service confirmed they received a call to Zone 4 of Deeside Industrial Estate, and have ‘various resources’ at the scene but was unable to give further information. The charity needs to raise £6.5 million every year to operate the service. The charity raises all the funds required for the day-to-day running of missions, with each Ambulance on average costing £1500.